As a Flint native, University of Michigan-Flint student Brooklyn Golden knows the importance of giving back to the community. Golden is a junior at UM-Flint majoring in elementary education with a minor in early childhood education. She and about 12 other students from the UM-Flint Black Student Union volunteered at the Food Bank of Eastern Michigan on Feb. 23. 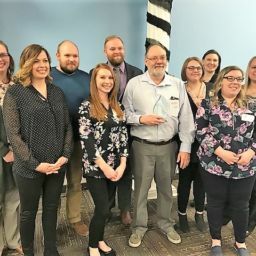 The students worked in the Food Bank of Eastern Michigan’s Hunger Solution Center for three hours. 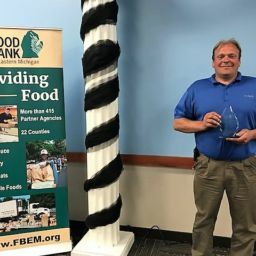 Volunteers in the Hunger Solution Center are tasked with sorting donated food to get it ready for distribution to more than 400 agencies that the Food Bank serves in 22 counties in eastern Michigan. Tasks include sorting food by item type and also making sure there aren’t expired or damaged items among the food being packed for shipments. 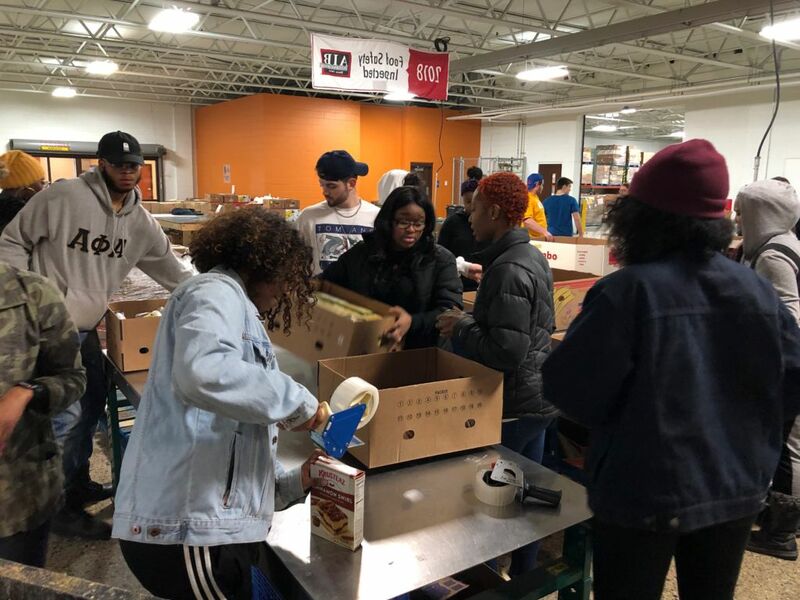 Volunteer shifts are available at the Food Bank Monday-Saturday, and University of Michigan-Flint student groups are regular supporters throughout the year. On Saturday, there were approximately 60 total volunteers at the Food Bank including the UM-Flint students. Collectively, they sorted enough food to provide meals for 55,000 people in Michigan. Each volunteer sorts enough food for approximately 335 people per hour during a shift. Golden noted the importance of students finding time to be involved in Flint. “Even though you’re busy or tired, even if you can come for an hour, your help is always needed no matter what,” she said. 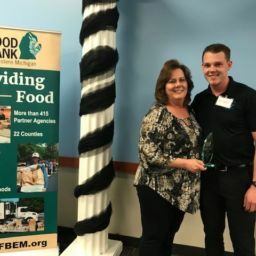 The Food Bank of Eastern Michigan serves as a common solicitor storehouse and distributor of food on behalf of its Partner Agencies which are non-profit, charitable organizations serving those in need. The Food Bank is a 501(c)3 organization.